By Chris Williams: Top Rank promoter Bob Arum could have a June 9th fight between Tim Bradley and Manny Pacquiao finalized this weekend, according to RingTV. Arum promotes both Bradley and Pacquiao so there shouldn’t be any issues. The fight will likely be a lot easier to make now that Arum’s main target Miguel Cotto is no longer available for the Pacquiao fight due to Cotto signing to fight Floyd Mayweather Jr. on May 5th at the MGM Grand in Las Vegas, Nevada. The odd thing about that is Michael Koncz, Pacquiao’s advisor, is saying that Pacquiao may not be fighting Bradley. He’s saying that Juan Marquez, Lamont Peterson and Bradley are all still under consideration. I don’t know if this is some kind of trickery from Koncz or maybe he’s on the margins and not really privy to what’s going on with Arum and Pacquiao in picking out the Filipino star’s next fight. It was assumed that Top Rank wasn’t interested in Marquez because he didn’t want to fight in Las Vegas and he also wanted a bigger payday than he got last time he fought Pacquiao last November. Marquez also brings great danger because a lot of people still think he should have been given the decision in the Pacquiao last November. 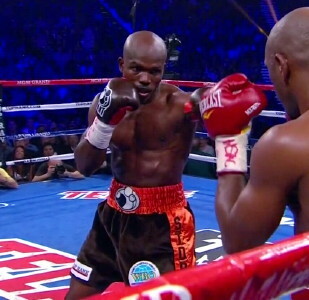 Bradley will be the one that gets picked for Pacquiao’s next fight. It makes a lot of sense and he’s really the only one left now. It’s not a big fight but it’ll bring in enough money to keep Arum and Pacquiao happy. With Pacquiao’s built in fan base, he could fight anyone in Arum’s Top Rank stable and still do really well even though a lot of fighters are starting to fade.